LONDON (Thomson Reuters Foundation) – As a little girl, Doli from Nepal found it hard to resist the thrill of the circus, its breathtaking acts, daring performers and dazzling costumes. When scouts came looking for children to join the big tops in India, she was captivated. “The circus sounded like a magical place, so I wanted to go, too,” she recalls in a teaser for a documentary about Nepal’s first and only circus, made up of rescued victims of human trafficking. For decades, Nepali children have been targeted by circus scouts from India where the spectacle, which has been dying in many other countries, still draws crowds. Often sold by their parents hoping to give them a better life or to escape poverty, many children in the most exploitative circuses are deprived of schooling, forced to learn punishing routines and beaten if they fail, activists say. “The trainer … if we couldn’t do it, would hit us with a twisted wire,” says another young woman in the film, “Even when I fall”. The feature-length documentary, which is still in production, tells the story of three Nepali women who met as teenagers after being rescued from circuses in India, and focuses on their attempts to overcome a childhood spent in forced labour. One of them was so young when she left Nepal that she did not know her real name. Not only does the film chronicle their efforts to reconcile with the families that sold them, it also shows how they establish Circus Kathmandu with 10 other survivors of human trafficking and the bonds that are forged among the group. Before you continue: please know that reader-supported Facts and Opinions is employee-owned and ad-free. We are on an honour system and survive only because readers like you pay at least 27 cents per story. Contribute below, or find details here. Thanks for your interest and support. Since 2010, the troupe has performed in Kathmandu Valley and the border towns of southern Nepal’s Terai plains, but also at Britain’s Glastonbury Festival in 2014, enthralling audiences with their acrobatics, aerial skills and storytelling. The film’s producer Elhum Shakerifar – who hopes to raise 30,000 pounds ($43,000) by April 7 to cover the edit and some of the post-production costs – said the title, “Even when I fall”, was inspired by the circus performers’ trust in each other. “If you’re part of a circus and you’re performing with someone, flying through the air, you need to have really strong communication skills, you need to trust that person (and) know they’re going to catch you,” Shakerifar said. “(The troupe) have really turned around something that enslaved them and made it into a strength and a skill,” she told the Thomson Reuters Foundation. 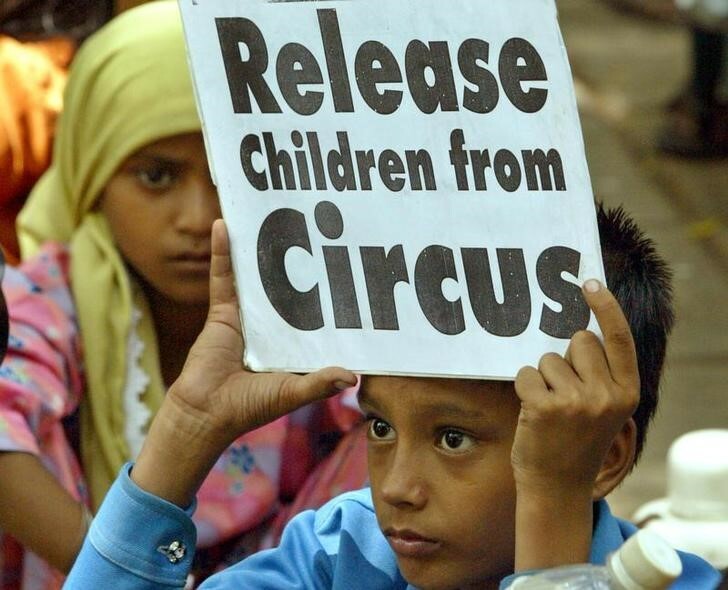 The film’s co-director Sky Neal spent many years as a circus performer before volunteering at a refuge in Nepal for children rescued from exploitation in Indian circuses. “Sharing my own circus stories and pictures and videos, I was able to help the young women to see that what they did was amazing – that being from the circus wasn’t something to be ashamed of,” Neal said, adding that this connection laid the foundations for the film, which has been five years in the making. Nepal’s national human rights commission says human trafficking appears to be a thriving industry in Nepal. In a report published in 2014, it estimated nearly 29,000 people had been trafficked or close to being trafficked, based on reports by the police and non-governmental organisations. Neal said many women who survive being trafficked and exploited are often rejected by their own families and face discrimination within their communities. “Women returning from circuses are no different. There is no value given to them for the artistry they have gained. They are stigmatised and marginalised,” Neal said in a statement.